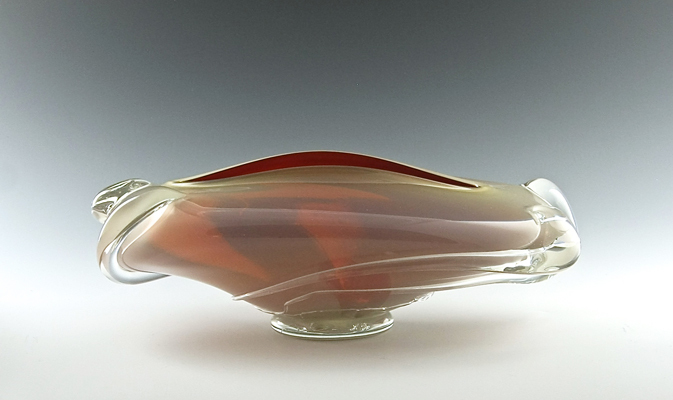 Glass artist Gary Zack, known for his rich colors and luxurious forms, makes handblown glass vessels, vases and sculptural installations in his Saratoga Springs glassblowing studio. 6" by 6" by 6" Handblown glass, dichroic inclusions, 23k gold surface applications. Signed by the artist. Available as shown. 8" high by 6.25" wide. Handblown glass, dichroic inclusions, 23k gold surface applications. Signed by the artist. Available as shown. 7.25" wide by 8.25" high. Handblown glass, dichroic inclusions, 23k gold surface applications. Signed by the artist. Available as shown. 6.25" wide by 5.5" high. Handblown glass, dichroic inclusions, 23k gold surface applications. Signed by the artist. 5.75" by 4.75". 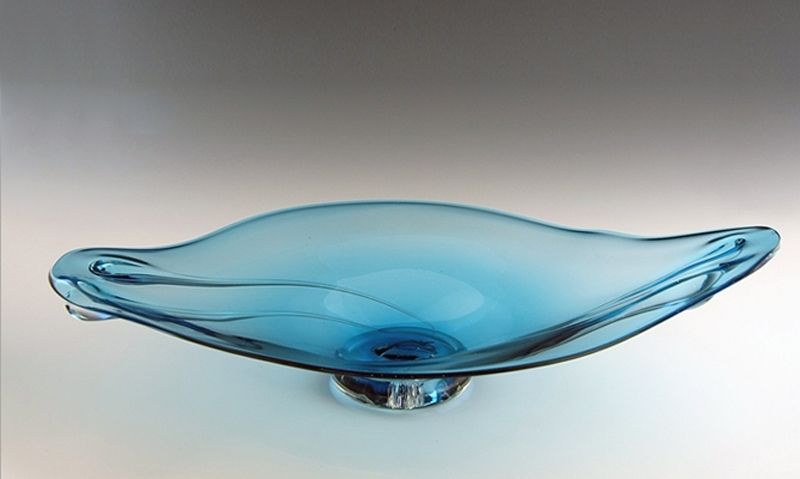 Handblown transparent glass by Gary Zack. Signed by the artist. Available as shown. 5.5" wide by 4.5" high. Handmade transparent glass by Gary Zack. Signed by the artist. 5.25" wide by 4.75" high. 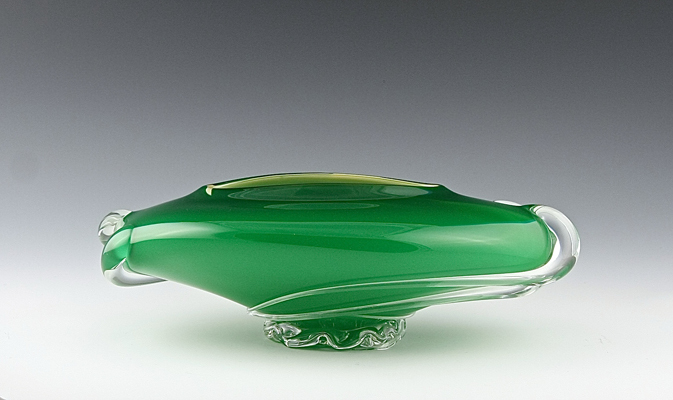 Handblown transparent glass by Gary Zack. signed by the artist. Zack's work in blown glass involves rich, vibrant colors, dichroic inclusions and silver and 23k gold leaf. These forms require multiple layers of color in order to maintain the vivid contrast between exterior and interior surfaces. The painterly application of silver-reactive glass and metallic powders gives the vessels a sketchbook quality. is spontaneous and funloving, with freeform shapes and clown-like demeanor. Transparent, multicolored polka dots of are scattered randomly upon a translucent, butter-colored background. The forms are topped with delicate applications of black and colored threads. The Color Pot Series has been an enduring favorite at the gallery since its development 15 years ago. Brilliant colors, bold contrast and delicate applications of 23k gold leaf, dichroic glass and threads of black glass are the hallmarks of this series.